Real estate data can be a tremendous resource to help brokers and agents compete on Facebook, Twitter, Instagram and Pinterest. Compete you might say? Aren’t sites like Facebook just a community of friends? Aren’t posts supposed to be a steady stream of cat photos, vacation snapshots and what people ate for lunch? Isn’t it a good idea for a broker or agent to just throw up a listing every once in a while to see what sticks? When it comes to social media, real estate professionals might want to pay more attention to shares and likes. Frankly, it’s competitive out there in social media land, and for a broker and agent to take advantage of these platforms, they need the right tools. Listings alone don’t cut it. Most marketing experts will tell you that real estate professionals fall into the trap of mostly relying on listings for their social media posts. Sure, they might get some hits on the listing. It certainly impresses the seller. But here’s why you need to take a bigger and broader approach to your social media strategies. Let’s look at some interesting Facebook statistics. There are currently 1.7 billion monthly active users. Remember when that number was 1 million? Facebook is obviously on a roll. About 82% of people 18-29 years of age use Facebook. For people 30-49, that number is 79%. Talk about reach. The average Facebook user will spend 20 minutes a day checking out their pages. If you want to know where people are hanging out online, Facebook’s the place (although Instagram is gaining rapidly with younger folks tired of Facebook). Now, think about the potential influence each Facebook user possesses. The average Facebook user has 155 friends. Women tend to have more friends, about 166 on average, compared to men, 145 on average. They say in most towns, Facebook users can be linked to others by just four degrees of separation. What does this mean? If you post something that’s interesting, funny or important, that post could spread rapidly to just about everybody in a particular neighborhood. So what are you going to post? Just listings? As we said, listings are fine. But they are limited. For example, not everybody on Facebook is going to be interested in a 5/4 home in the Too Ritzy Golf Community with a listing price of $995,000. And, if they are not interested in a property like that, they certainly won’t pass it on to their friends. Conversely, not many 50-year-old professionals care about a 2/1 bungalow in a foreclosure sale (unless of course, they are investors). Here’s the point. 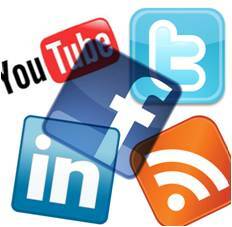 Most real estate professionals say they use social media to build awareness. So why not post information from time to time that is universal in interest and has a high probability of getting shared and liked in the Facebook community? That’s where real estate data can be a powerful tool. Brokers and agents can easily partner with a real estate data provider such as Home Junction Inc. to gain access to an accurate, reliable and current database of hyper-local information. By embedding a simple real estate data api (basically integrating a few lines of code into a website) a broker or agent will have a supply of information at their fingertips for attractive Facebook posts. Instead of posting a listing for a 6/4 house with a barn on 200 acres for $4.1 million that will appeal to very few Facebook users, why not post a chart showing the latest market trends? Maybe that chart shows the number of property sales increasing in XYZ neighborhood. Any XYZ resident or person thinking about moving there is certainly going to be interested in that bit of information. If they know someone who is interested in moving into that area they are very likely to share that chart with them as well. If they live there, they might just share that news with their neighbors at the next backyard barbecue (and mention where they saw that information). The fantastic benefit of embedding this real estate data on your website, is that you can include a link so these Facebook users have to come back to your website to view it. At the end of the day, attracting visitors to your website is what it’s all about. With the help of real estate web developers such as Home Junction, a broker or agent can set up lead capture functionality to gather these contacts. Perhaps post a way for visitors to sign up for your email newsletter. Or provide a contact form for people to fill out if they are interested in a CMA about their property. Or post a number to call if they want more detailed real estate data about homes in a particular neighborhood. Real estate data separates the pros from the amateurs. Because here’s another shot of reality about virtual media. In a recent survey of Realtors, nearly 95% of them said they plan to use Facebook as a major part of their marketing strategy. That’s a lot of people on the same bus. In fact, those surveyed said they plan to invest more time and money on social media. In other words, the competition for Facebook users is intense. And it’s only going to get more intense in the future. Sure, the platform is free. But like anything that is free, everybody’s going to want to use it. More and more agents are also allocating ad dollars for Facebook. Why not? For a measly $5 to $10 an agent can boost a post to a target neighborhood, at a targeted age group with targeted interest (advertise a listing on a golf course for golfers, for example). Again, there are plenty of other agents out there willing to spend their $5-$10 to boost their posts. Listings are great. But in general, they don’t engage users who are not interested in that property. Broaden your social media strategy. Post real estate data that engages a large number of users. Mix it up. Show market trends, home sale price trends, demographics, school information, etc. Establish your brand as the real estate resource for the local community. Show your local market knowledge. Point out to users how your site features comprehensive, in-depth real estate data tools to give them a true picture of the local market. Even embed a “Home Value Estimator” tool on your website, also provided by Home Junction Inc. This tool is a no-brainer. Everybody loves to look up the value of their own property, their neighbors, or one they are thinking of purchasing. Don’t just paint yourself into a “listings box” on Facebook and other sites. It’s a big world wide web out there. Be sure to provide a wide variety of local content and real estate data to be successful in that world.